I must admit to being an avid cheese lover, so Olive's 'Six irresistible cheese recipes' in the May edition had me chomping-at-the-bit! 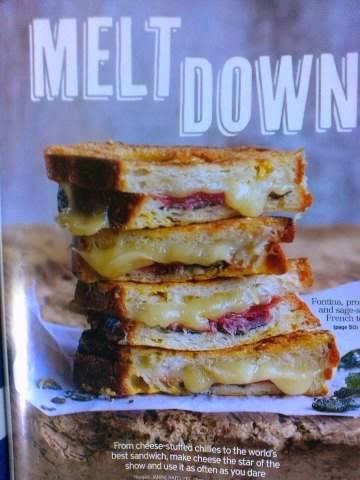 ''Melt Down'', as the feature is called, has a splendid selection of cheese dishes from cheese stuffed chillies to the world's best sandwich - Fontina, prosciutto and sage- stuffed French toast (below). The Baked ricotta tart with spring veg, mint and peashoots, that previews on Olive's cover, looks a delight, while the Smoky mac 'n' cheese fondue really gets those taste buds tingling. All in all, this issue of the magazine has a wealth of inspiring and exciting recipes for the avid and adventurous cook to get their teeth and tongue around. 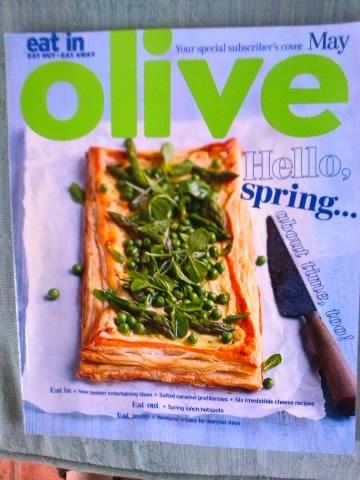 Olive welcomes in Spring in all ways with a host of seasonal recipes, in-season ingredients, a Spring collection and Supermarket Stars - a look at new Spring products that the big retailers are championing. 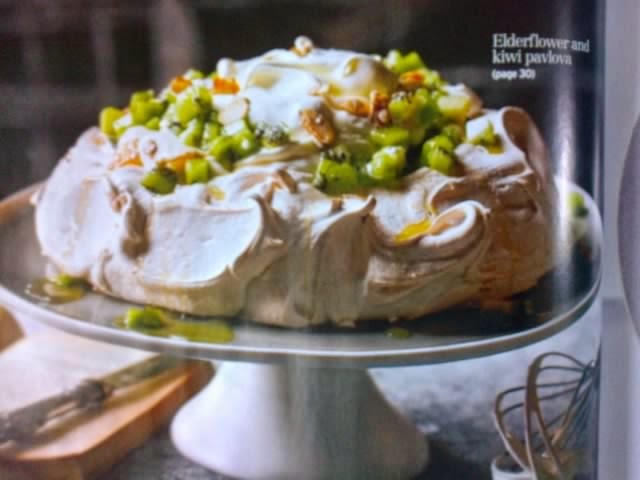 Elderflower, radishes, peas herring and haddock are selected for the Eat-In section, alongside White chocolate and almond meringue domes for the dessert lovers, while Duck Confit takes the 'recipe challenge. If you want to try something new at home, then Salted caramel profiteroles look scrummy. As for the Supermarket Stars, an easy to read article features Asda's Tomkin Tomatoes, Tesco's Wensleydale Blue Cheese and Sainsbury's Bateman Brock Beer. 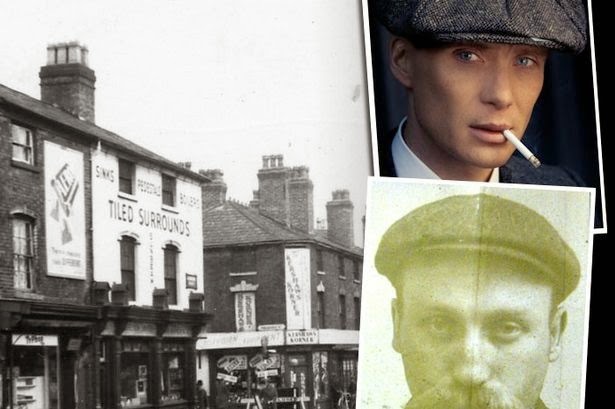 The reader is given the background to the small producer behind the products and the supermarket's reasons for stocking the new items. 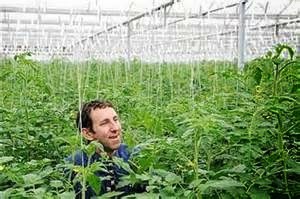 I liked the tale of Nigel Bartle, the guy behind the 'all year round' British tomato and his use of energy recycling to support the winter growth. He really is a tomato geek (below). 'Bar-Hoping' goes north of the border, with Glasgow's Blythswood Hotel Bar named as the best for bar snacks and Gandolfi , an oddly stylist hobbit-style lair, given the title of 'Not Too Many People Know About'. They do now! Meanwhile 'Table-Hopping' highlight Blackfoot restaurant in Exmouth and the usual capital entries, The Big Easy and Vivo. Spring recipes fill almost every page, some using the seasonal ingredients. I loved the look of the Elderflower and kiwi pavlova (above) and the Linguine with samphire prawns (below). 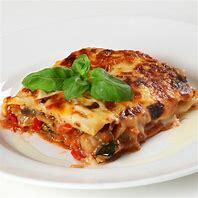 There are great sharing dishes of Roasted duck, King prawn paella and Lamb shawarma but the Pissaladiere with apple, caramelised onion, fontina and watercress stands out as n excellent idea for a starter or with wine. Pissaladiere is a flat bread found in the South of France and is traditionally topped with caramelised onions and anchovies. 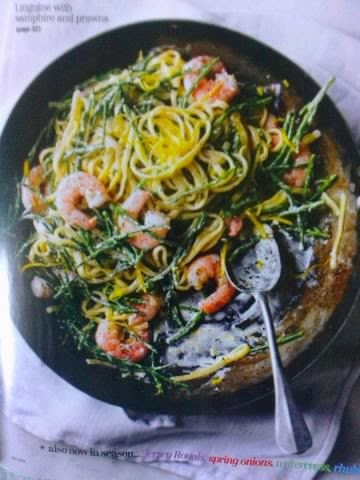 This recipe varies this and suggests as an accompaniment a glass of Picpoul de Pinet, £7.99 a bottle from Morrisons. I can't end my review of May's Olive without mentioning their travel sections. 'Cook like a local' goes to Paxos in Greece and decodes the popular dishes on a Greek menu, like Briam, a vegetable stew and Kolokithokeftedes, courgette fritters with melted cheese and fresh mint. Sounds delicious! There is also a simple recipe for Rosemary bread, similar to focaccia. 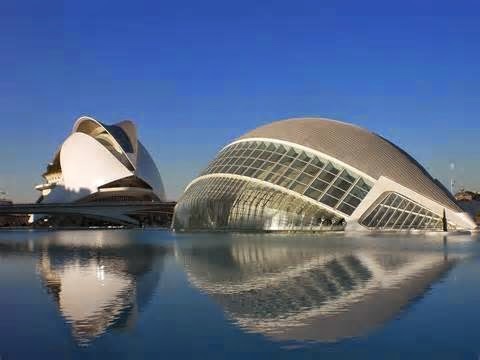 'The City Break' this month is Valencia (below), where paella is the highlight and as for 'The Weekend', Brighton seems to have everything for the foodie. Sadly, no mention of the best vegetarian restaurant, Terre à Terre. Finally, Queens in the Big Apple is said to be the temple for dim sum, dumplings and, of course, steak houses and Soprano-style Italian cuisine. I must put it on my bucket list. Surprised to see Jamie's Italian in Piccadilly named as one of Olives best places for a leisurely lunch. The so called 'flag ship' of the chain supposedly makes fresh pasta daily. Well, that's not the case in Birmingham's Jamie's, where the pasta is dried and is the worst I have ever tasted!